1.) selling of illegal substances, promoting brands of manufacturing cannabis and/or any other form of drug. Our website and app is monitored daily to filter such behavior. Any user found or reported doing this will be removed from our platform immediately. IP Addresses will be blocked so users cannot sign up using a different account. If any user needs to report untolerated behavior there is a “Report” button on the users profile. Please use this by clicking the “Report” button and describing why you are reporting the users using the form shown. All reports will be reviewed and a decision will be made to remove the reported user within 24 hours. PG EMPIRE, LLC built the PassinGrass app as a Freemium app. This SERVICE is provided by PG EMPIRE, LLC at no cost and is intended for use as is until monthly subscriptions are purchased. If after you opt-in, you change your mind, you may withdraw your consent for us to contact you, for the continued collection, use or disclosure of your information, at anytime, by contacting us at contact@passingrass.com or mailing us at: 1250 Portola Avenue Suite D #298 Livermore, Ca 94551. At PassinGrass, we take every user’s privacy seriously. As a provider of medical cannabis and adult use marijuana related applications, security and privacy are our top priorities because we want you to feel comfortable that your personal information will remain private from the beginning. Location obfuscation, input sanitation, and explicit protection of personally identifiable information aim to protect your privacy and weed out negative content. Your information is safe with us, as it has been on our website that has been up and running for 5+ years. We’re here for any questions, comments and concerns. 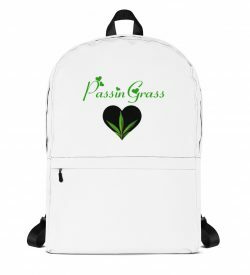 PassinGrass App is a community of adult 18+ years old legal medicinal cannabis patients who seek to share their own information based on common interests. At no time may users use PassinGrass to conduct any form of illegal activity, break state laws, or otherwise endanger the well-being of others. To do so will be deemed an immediate violation and your profile will be removed permanently at the sole discretion of PG EMPIRE, LLC. Any violation of local laws or other use is not intended for as outlined in our terms of service will not be tolerated. Users are encouraged to report other members violations and offending member’s will be removed from the platform. 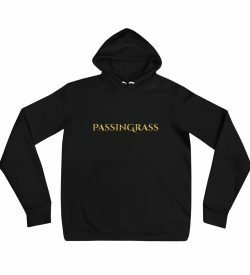 PassinGrass cannot include illegal activity of any kind. This includes sales and sexual harassment. We reserve the right to reject any content that do not meet our standards. Please use this app as a private place to share one another’s interests. If you would like to: access, correct, amend or delete any personal information we have about you, register a complaint, or simply want more information contact our Privacy Compliance Officer at 1250 Portola Avenue Suite D # 298 Livermore, Ca 94551.